I rarely get before and after pictures. Usually because I tackle the “before” stuff before I have a camera in hand or even think to snap the “before” shot. But I did think of it this time! 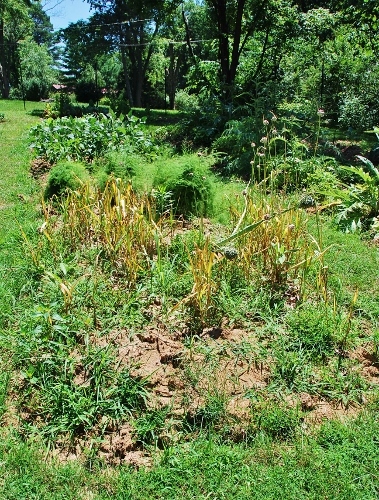 The garlic patch is the only area of the garden that I haven’t weeded at all (since I knew I would be digging it all up anyway). 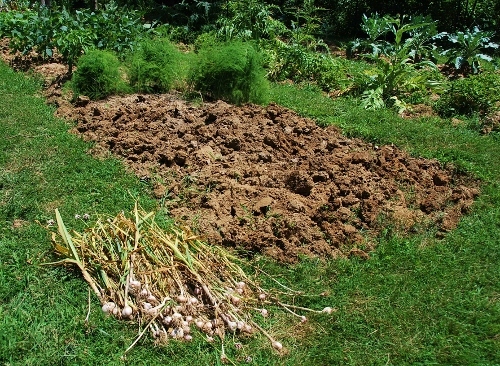 The smaller bulbs could’ve been left in the ground until next year, but I wanted to move the garlic to a different area so I just dug it all. The smaller bulbs will be replanted as is. The medium size bulbs I will divide and plant the cloves. The rest we will be eating! You are supposed to let garlic “cure” which I have never done before. I found this on how to cure garlic so will be trying this method, but please leave a comment if you have a tip! This entry was posted in Uncategorized on July 12, 2013 by Spy Garden.